Adult metal braces cost from £650 in our Central London Clinic. Metal braces are very strong and can withstand most types of treatment. They consist of very small metal brackets (attachments) that are glued to the front of your teeth. A metal wire is attached to the brackets and held by ligatures. There is a wide range of ligatures available, ranging from transparent to silver (to match the metal braces) and to a variety of colours. More visible than the other types of braces. This is a 10 minutes appointment, where there will be a initial chat to get to know you, examine your mouth and assess your problems and your expectations from the treatment. Once you had the initial assessment and decide to go ahead with the treatment we will book you an appointment to have records taken and to have a full dental check-up. The records include x-rays, pictures and impressions of your teeth. They are needed to plan your treatment and to monitor its progress and results. The full check-up is just as a normal dental check-up and is needed to ensure your teeth and gums are healthy and can undergo orthodontic treatment. After your records have been examined and a treatment plan has been designed, you will now be ready to have the braces fitted. This is usually carried out in a single appointment. We will tighten your braces and replace your ligatures once a month, while checking in on the progress of your treatment. This is a 10 min appointment which can be carried out even in your lunch break! 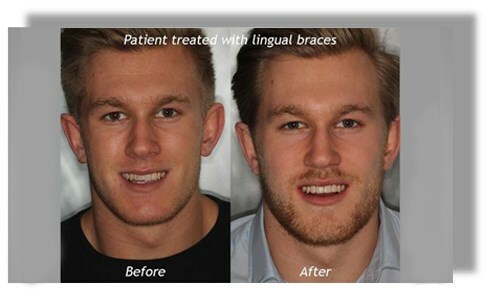 Once you are happy with the results of the treatment, we will book an appointment to remove your braces. At this appointment, we will remove your braces and any attachments. We will place fixed retainers at the back of your teeth and take impressions for removable retainers which will be ready after one week. The retainers are needed to hold your teeth in the new position and to prevent them from moving back into their original position. You must wear your retainers after we remove your braces to prevent your teeth from moving out of alignment again. Damaged retainers (fixed or removable) should be repaired as quickly as possible to avoid your teeth moving. Six months after we remove your braces, we will check to ensure that everything is fine with your retainers. 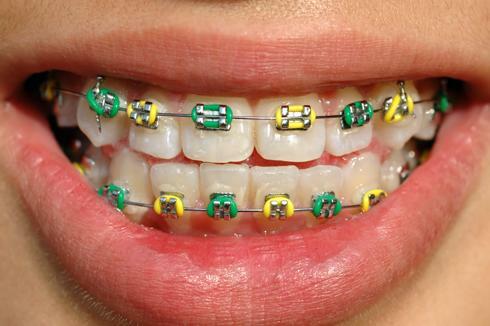 You can have your braces in different colours!